I’ve been sitting at my computer for the past ten minutes typing, deleting, re-typing, reliving embarrassing/heartwarming/nerve-wracking memories from my K-12 years, and typing again. I can’t tell if it’s the heat on this Seattle summer day as I’m writing this or the love-hate relationship I have with “belonging” that’s contributing to my writer’s block. My money’s on the latter. Growing up, I was a chubby, painfully shy girl who didn’t think I belonged anywhere other than beside my mother to protect me. It’s certainly tough to say those words now considering I’ve come so far, but I am grateful for that chubby, painfully shy girl. She taught me to fill the silence with laughter by using humor to connect with people. She taught me that stepping out of your comfort zone is well worth the sweaty palms and apprehensions. And most importantly, she taught me to live in integrity. By doing so, I found my familial tribe of queer folk, band geeks, tree huggers, and underdogs. So if I could travel back in time to Ms. Gifford’s first grade class, I would tell my smaller self that belonging is an uphill battle, but, it does get better. Way better. By the time high school reared its ugly face, I was just becoming comfortable with my sexuality. 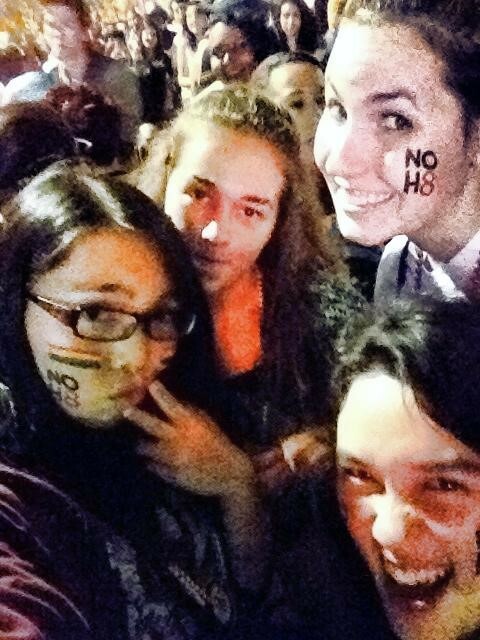 Being gay was somewhat taboo in the conservative city of Thousand Oaks, so I felt isolated. I found solace on the beach or in the mountains—places for reflection where I didn’t have to fear any judgment, but I desired to find people I could relate to. It wasn’t until my first Pride Parade in Los Angeles that I felt a connection to the LGBT community. It was incredible to feel such immense love and belonging with complete strangers. To see everyone openly express their true selves was wholly encouraging in my process of coming out. By the end of the day, I felt like a proud member of this close-knit family of my local community. On June 24, 2016, President Obama announced the designation of Stonewall Inn as the National Park Service’s first park unit to LGBT rights. In the late 1960s, Stonewall Inn once served as a local gathering place in New York City for LGBT folk to openly express themselves in a time where it was criminalized to do so. During this era, police raids on gay bars occurred regularly. On June 28, 1969, the police raided the Stonewall Inn, but the patrons refused and fought the oppressive status quo. Many saw this altercation between the community and police as a call to arms, and within two years there were gay rights groups in every major city across the country. Of my very short nineteen years of life, I am grateful for the strides this nation and the actions and voices of LGBT folk and allies have allowed the younger queer generations. As a country we still have much more work to accomplish, but we are heading in a positive direction with much greater momentum to broaden the sense of belonging. 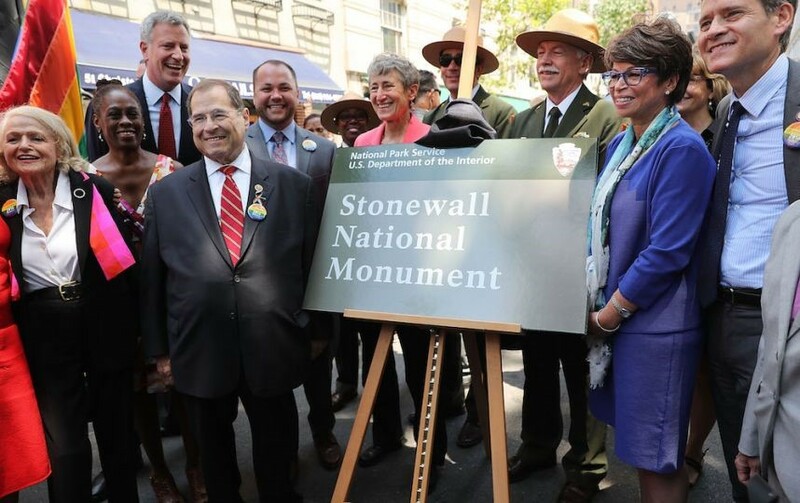 The National Park Service’s decision to incorporate the Stonewall Inn into the family of NPS units is a shining example of the progress we are capable of creating, from grassroots initiatives to worldwide campaigns. As a nation, we are gradually embracing the fact that to truly “belong” expands far beyond just one mold, but instead it is a rainbow of every race, color, and creed that makes up our unique country. 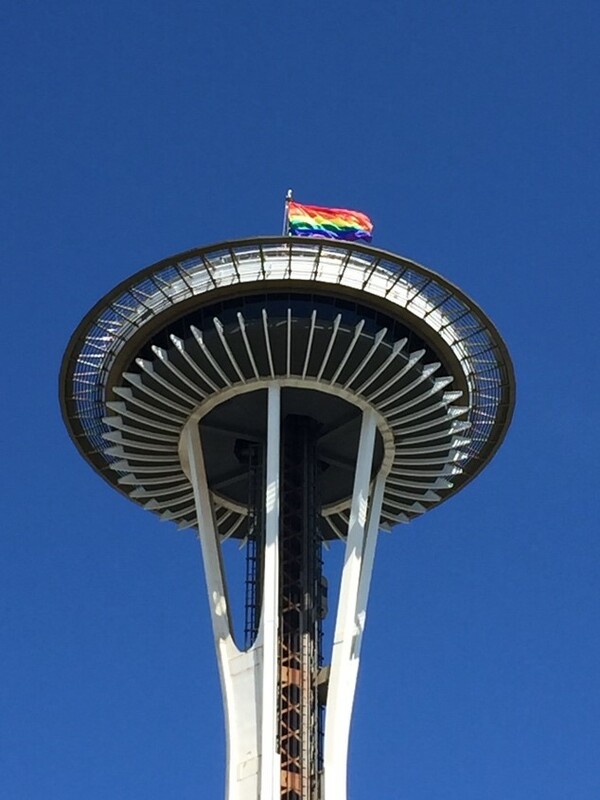 On June 26, 2016, just two days after President Obama honored the Stonewall Inn, I attended my first ever Seattle Pride. Out of the thousands of people marching in the Parade, I was the proudest to see the National Park Service (and our very own Ranger Kelsey, among other park rangers) proudly bearing a banner that read “#Stonewall” and representing one hundred years of dedication and progress. I didn’t think it would be possible, but to see my passion for environmental stewardship and my sexuality celebrated together right before me, and to be a part of such incredible history, truly made me feel like I belong.